An Artiteq Click Rail budget pack is an all-in-one solution for hanging pictures on the wall. 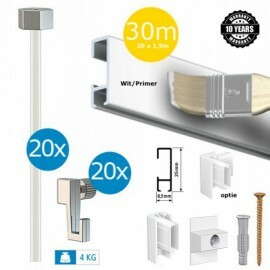 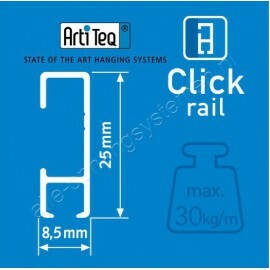 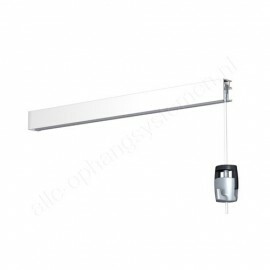 It contains not only the rails, but also the wires, the hooks and wall fasteners. 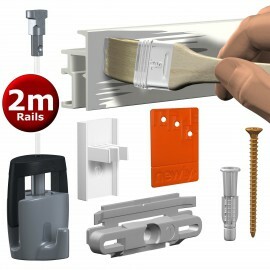 Moreover, these rail packages are the most economical on the market. 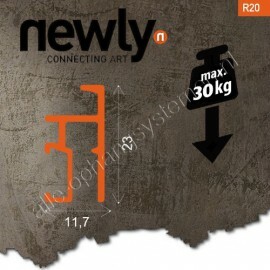 So you can opt for a high-quality painting hanging system and still save budget for the artwork itself. 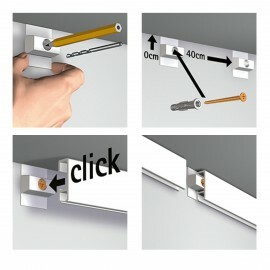 Fix the rail to the wall in three steps. 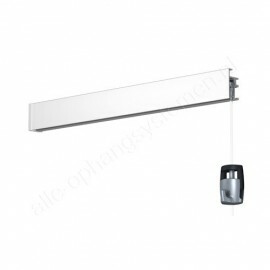 You can create flexible hanging of your decorations by inserting and sliding in the wires with hanging hooks of your choice. 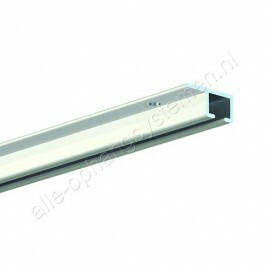 This rail is 150 cm long and has a weight carrying capacity of 20 kg per meter. 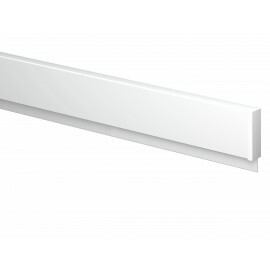 The Artiteq Clickrail is mounted on the wall.